John Bates is not your typical gamer. 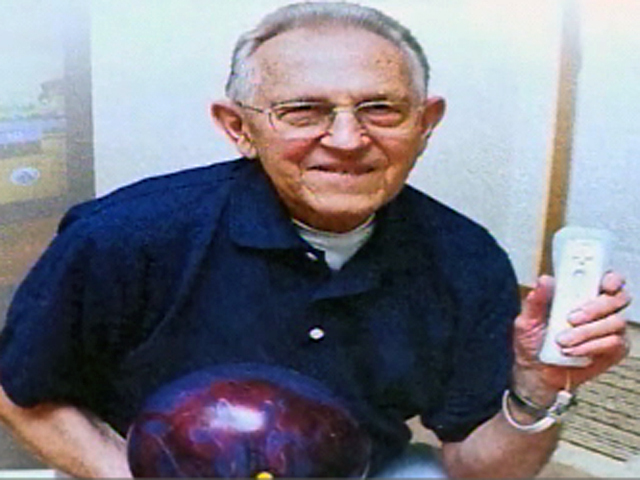 At 85, this retired high school principal from Onalaska, Wisc., has made his way into the Guinness Book of world records for scoring the most perfect games in Wii bowling. When WKBT's Jennifer Livingston met up with Bates, he raised the ante for the cameras, bringing his total to a whopping 3,305 perfect games. Bates began playing Wii in 2008 after he tried it at a friend's house. He enjoyed it so much he went out and bought his own console. When ten perfect games turned into 100 and then 1,000, his son encouraged him to contact Guinness Book of world records and the folks there confirmed his record-holding status. Does he get flak for his age? Bates says he'll hear the occasional critic, but laughs it off, saying "it's not just for kids only."